A home away from home whether on business or leisure. Book your clients a real home away from home. These modern apartments and aparthotels offer 24-hour receptions and feature all the commodities you’d expect from high-end hotels. 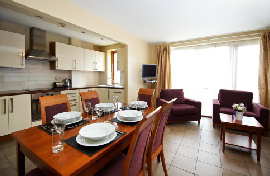 Ranked #1 in speciality lodging according to TripAdvisor, this superb aparthotel offers spacious studios and apartments with kitchenettes and and dining areas. 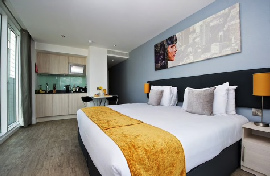 Ideal for families and business travellers alike. * Valid on bookings made until 31/03/18 for any stay dates. Get an extra 5% off BAR when booking the HotelREZ Corporate Rate. Offer subject to hotel availability. 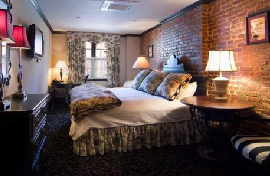 Accommodation with a New Orleans flair near Times Square. 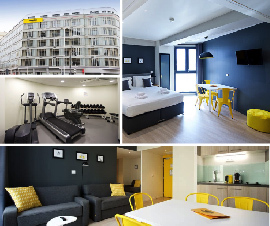 2-min walk from Docklands DLR station. Breakfast available. 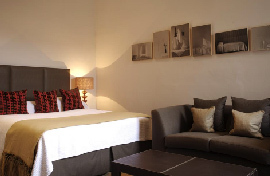 Fully-serviced luxury apartments in the historical city centre. Grade-II listed building with luxury apartments in the city centre. 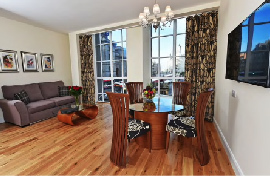 Short walk from Christ Church Cathedral and Temple Bar district. 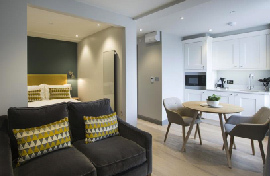 Delightful boutique hotel in the centre of historic Bath. 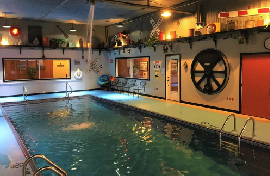 Railroad-themed boutique hotel with indoor pool in La Plata, Missouri. * Please note: Prices listed are for two people sharing a double/twin room or studio and were correct as of October 25 2017. All rates are subject to availability at time of booking. Bookings can be made via the GDS, online, by email or by calling the reservations team. HotelREZ has a team of dedicated travel industry experts who have detailed knowledge of the HotelREZ portfolio and can work with you to ensure that you ﬁnd the most suitable hotel for your client.